VANR the live delivery courier service throughout the uk. 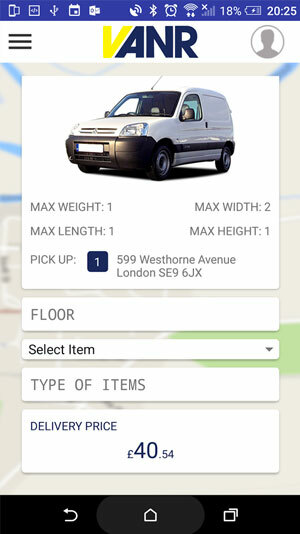 VANR is a ‘live’ delivery mobile phone app that instantly connects consumers to the nearest ‘man with a van’ for any purpose at any time, using an integrated GPS system. 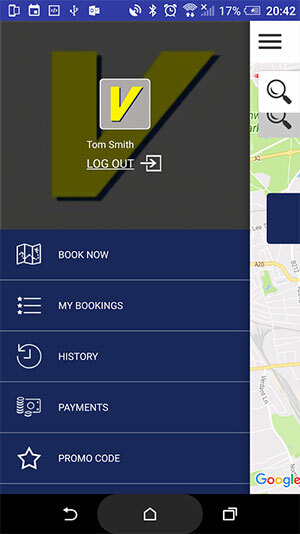 The VANR app provides a flexible & professional service for consumers and businesses across the UK. The mobile app platform allows consumers to send or receive items locally and nationally through our network of self-employed owner-drivers. 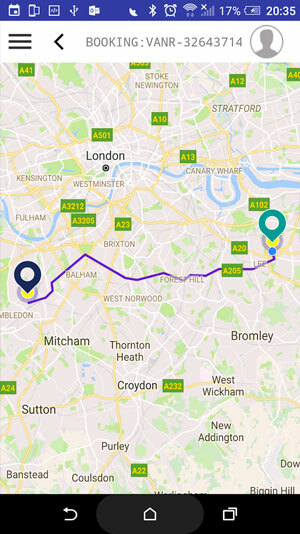 Vanr is a 24 hours, 7 days a week service that instantly connects you to the nearest ‘man with a van’ anywhere in the United Kingdom (except Northern Ireland). Whether you need to help to move home, move office, collect a large item, receive multiple items from a retailer, or to collect a (pick up only) item that you have purchased from a classified advertisement or auction website; Vanr can assist by connecting you with a suitable van from our network of independent fully insured and DBS checked van owners. Live delivery service, which will allow you to instantly book items for delivery. Instant quotes, which allows customers to know the exact cost of the service with no hidden/extra charges. 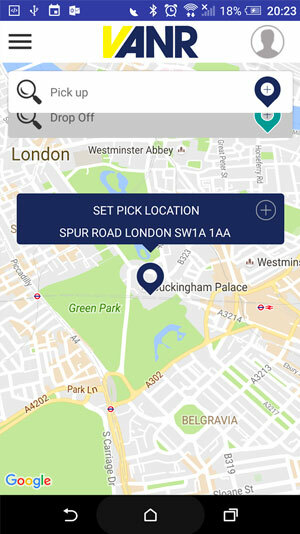 Advanced/Timed delivery option, which allows you to book a time slot for when you want your items to be collected and/or delivered. Your account with Vanr manages all your history, promo codes and payment methods in one place. The Promo code tab that allows users to add any Vanr promotional code when making a transaction, which will reduce the original quotation. Create your account using a credit card or PayPal, which will be charged automatically each time you use our service. We will email you a receipt after the job has been completed. The benefits of using our services is to avoid the need to hire a van. No more excessive van rental deposits and no more penalties for damages on a rental van that was not your fault. 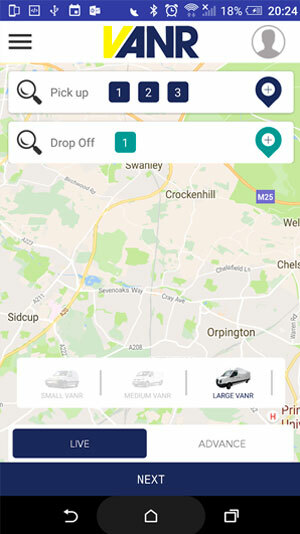 The reasons for why you may need a ‘man with a van’ are endless so download Vanr today to make your life easier for when you need a van now!